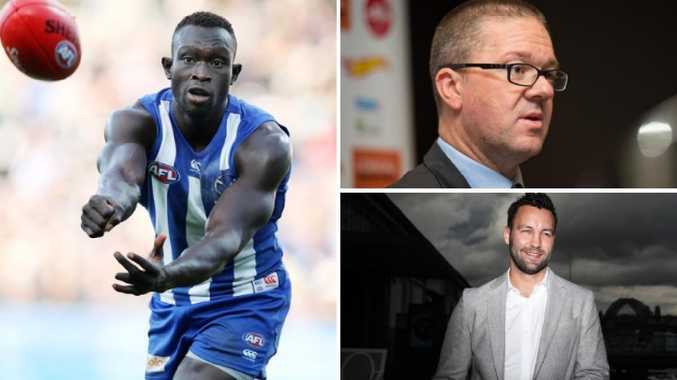 AFLPA boss and Geelong premiership champion Jimmy Bartel have weighed in on the debate over player wellbeing following Majak Daw's shock story. Nearly 90 per cent of AFL players believe mental health is the biggest issue in the game and one the AFL Players' Association admit could get bigger. The players' union yesterday said 88 per cent of players polled at an August summit identified mental welfare as an overwhelming priority for the AFLPA to address. 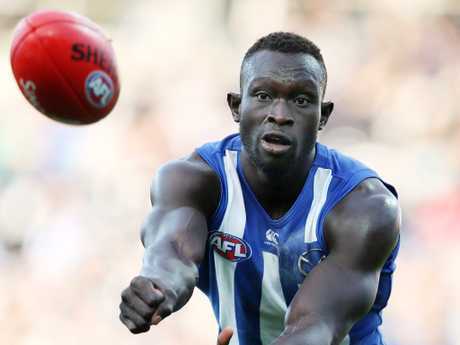 The AFLPA has briefed the media in the wake of the Majak Daw incident, pointing to the creation of the Industry Governance Committee, National Psychology Network and the Mental Health First Aid program, among other initiatives, as proof it was tackling the issue. 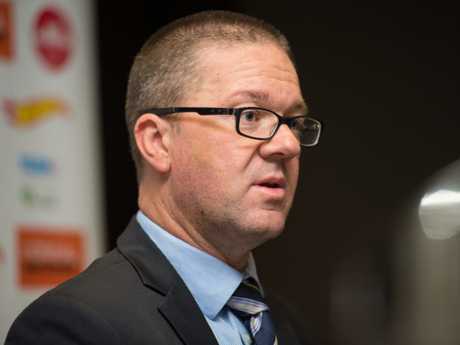 AFLPA chief executive Paul Marsh said the industry was "genuinely working together". "This is a very complex issue and I think we've come a long way in recent times, but there's still a long way to go. There's no silver bullet," Marsh said. "This is going to continue to be an issue. There's going to be stresses we see tomorrow that we don't see today. 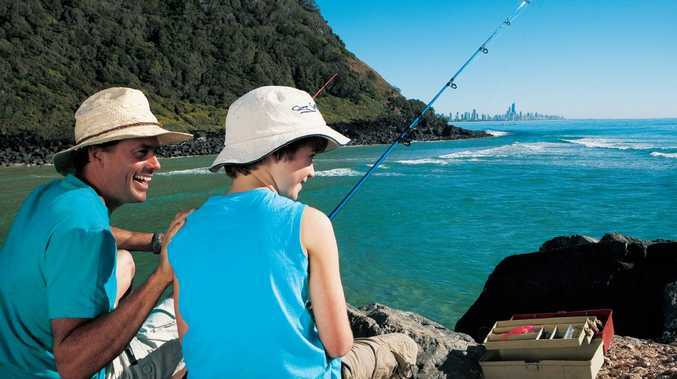 "It's one of our biggest priorities and it's one of the community's biggest priorities. "It's a societal issue. AFL players are under extreme pressure, that's the nature of the job they're in, so this is ongoing and potentially it's going to get bigger going forward." Three of the AFL's 18 clubs still don't employ a psychologist to help support their players, but Marsh said that would come. "Through the funding model and the work we're doing … we'll get to a point very quickly where we've got 18 clubs with psychs," he said. "It's just an evolution. We've come from a long way back. But what buoys us is that more and more players are accessing the services … also they're talking about it publicly and the leadership and courage they've shown is extraordinary. "There will always be people - players and people in the community - who don't feel comfortable talking about what some still see as a weakness, but I think that's changing." Marsh's comments come a day after Geelong legend Jimmy Bartel slammed the AFLPA for a lack of action. 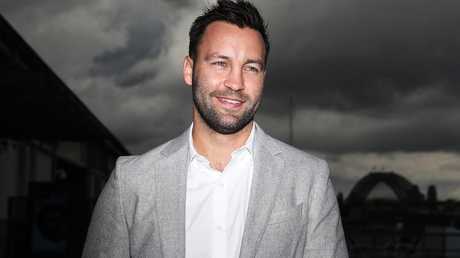 "I'm not doubting that they're (showing support for their players) but sometimes you need to get in front of a microphone and say it," Bartel told 3AW. "You can't just roll up only for CBA negotiations when it comes to pay disputes." Marsh said the AFLPA's priorities lay elsewhere. "Our job isn't a popularity contest," Marsh said. "Our focus the last two days has been on the issue at hand. I had a chat to Jimmy this morning, I've got a good relationship with Jimmy and we've talked through it. "We had other priorities and we're having a chat today. Our job is to support our members and there were more pressing issues yesterday." EVERY AFL club should hire a full-time sports psychologist to safeguard the mental health of players, the Australian Psychological Society has declared. In the wake of Majak Daw's Bolte Bridge incident, APS chief executive Frances Mirabelli said each club should employ a full-time, registered expert to deal with player's mental health and wellbeing. "The AFL should make it a priority to put appropriately qualified mental health professionals in each club to ensure the wellbeing of their players, both on and off the field,'' she said. "If the AFL really wants to be the most successful sporting code in Australia they have to set the standard of employing the right people with the right qualifications in the right roles." Sports psychologists undertake six years of psychology training and an extra two years of specialist training. Sports psychologist Tracey Veivers, who has worked with AFL clubs for more than 15 years, said players were under "immense pressure'' with their performances scrutinised daily. "Clubs often don't understand mental health training or what their players need, not only from a performance perspective but from a welfare perspective," she said.